Once published, your writing becomes a tiny part of those 100,000 words your reader encounters each day. Those words have to get past the attention filters in the reader’s brains. 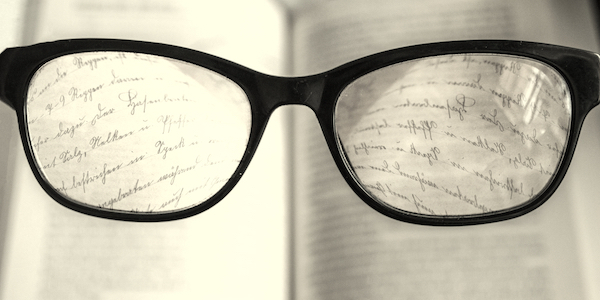 To reach a broader audience, write in a way that survives the quick-scanning reading process. This is especially critical when writing content that people will read on screens instead of paper, or when your subject area is something people don’t read for pleasure. Don’t be boring. Sprinkle in unexpected images, motion-based verbs (like sprinkle), or unusual examples to catch the reader’s attention. Certain formats signal opportunities for deeper reading, including books, white papers and articles. People are more likely to read printed material with greater attention, if it’s something they want to read. When we read online, our focus must content with open tabs, alerts, menus, and apps always tempting us to abandon the effort. You might enjoy this blog post: Mind Your Tone of Voice. I have long had a chair in the corner of the bedroom where I close out my day reading. It’s often a novel; since that’s what I write mostly these days it’s where my reading focus is. But when I’m reading nonfiction for the pleasure of long-term benefit and learning, that’s where it happens, not at my desk in our home office. Thanks for sharing that, Joel. Now I’m picturing everyone’s lovely “deep reading” chairs!